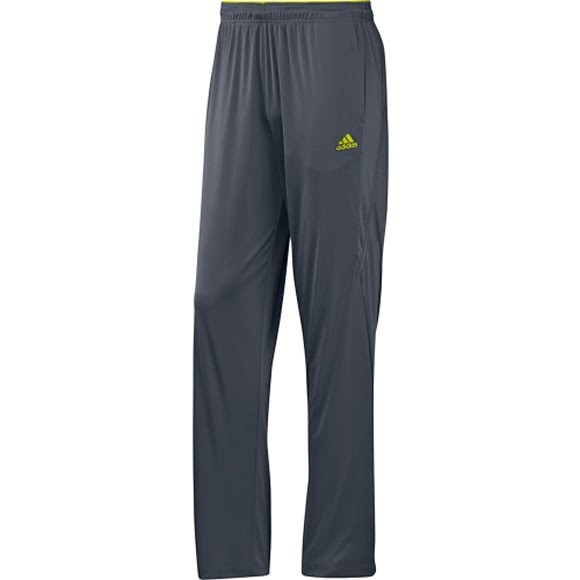 Easy on and easy off, the men's Adidas Climaspeed Tapered Pants are made for fast-paced workouts. The pants have ankle zips that make them easy to put on and remove for training, and are designed with ClimaCool® ventilation that keeps you cool and dry. Easy on and easy off, the men&apos;s Adidas Climaspeed Tapered Pants are made for fast-paced workouts. The pants have ankle zips that make them easy to put on and remove for training, and are designed with ClimaCool® ventilation that keeps you cool and dry. ClimaCool® is a unique technology that provides all-around ventilation in shoes, shirts, pants, sports bras, shorts, and other Adidas products. ClimaCool uses engineered materials to wick away moisture, allow the fabric to breath, and to adjust to body temperature, resulting in better performance and increased comfort.